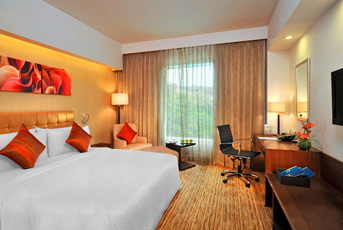 With both Inorbit Mall and Phoenix Mall in the vicinity, this chic hotel is sure to keep shopping lovers happy. 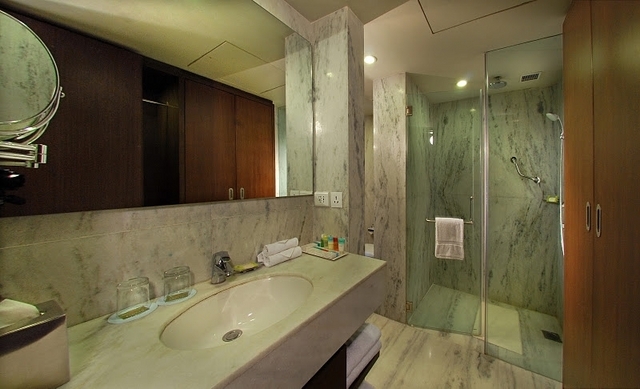 Equipped with laminated panels and marble bathrooms, it offers rooms and serviced apartments, apt for both long and short stays in the city. 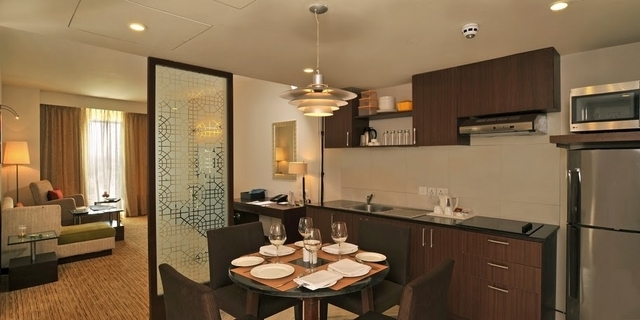 One bedroom Apartment 550 Sq.Ft. 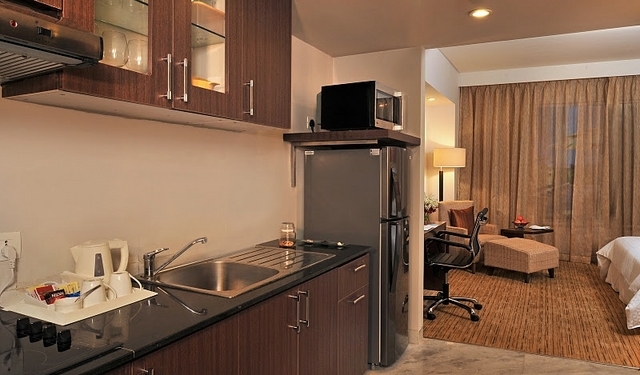 One bedroom Apartment 650 Sq.Ft.650.0sqft. 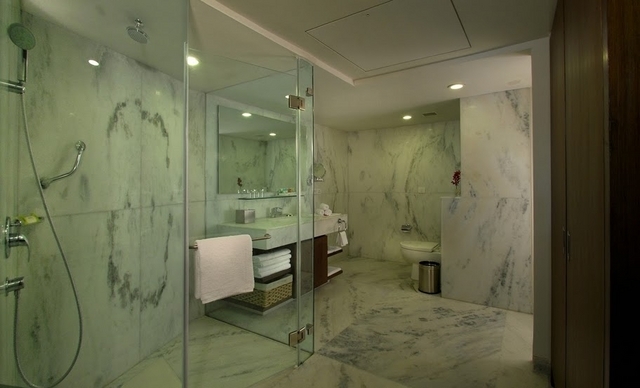 One bedroom Apartment 750 Sq.Ft.750.0sqft. 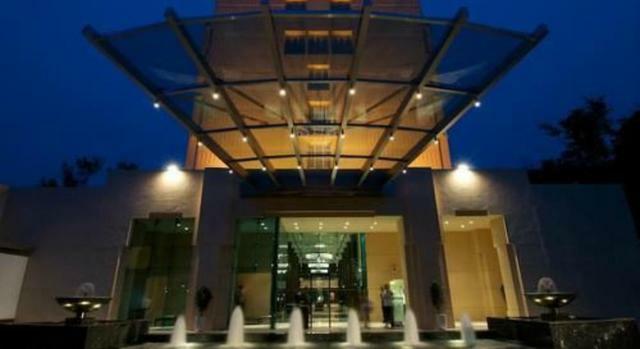 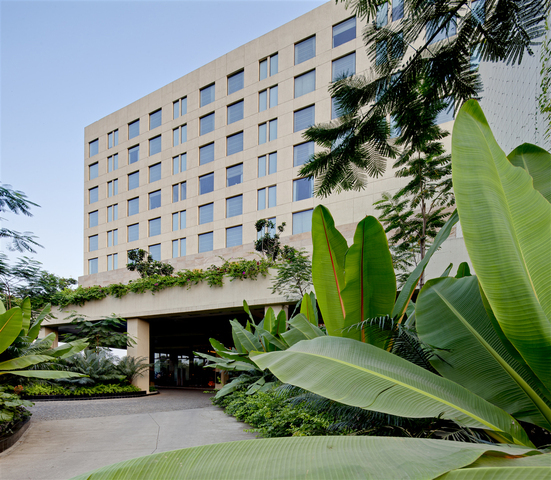 Four Points by Sheraton Pune is a luxurious 5 Star hotel which an ideal choice for business or leisure when visiting the city. 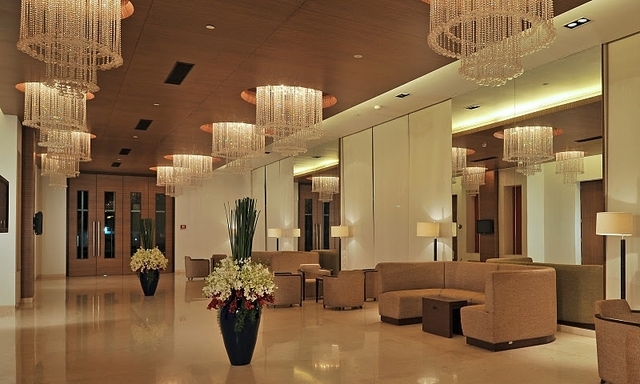 It ensures a memorable stay experience to all the guests. 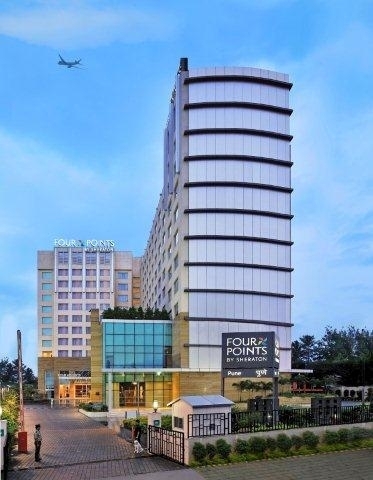 Four Points by Sheraton is another brand from Starwood Hotels & Resorts offering luxurious accommodation in different cities across the world. 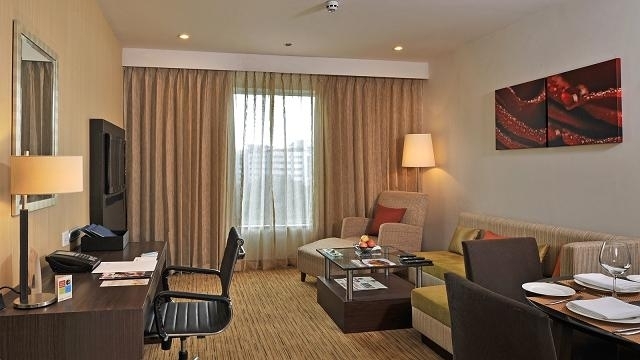 It is situated opposite to the Inorbit Mall in Viman Nagar and mere 200 meters from Phoenix Market City. 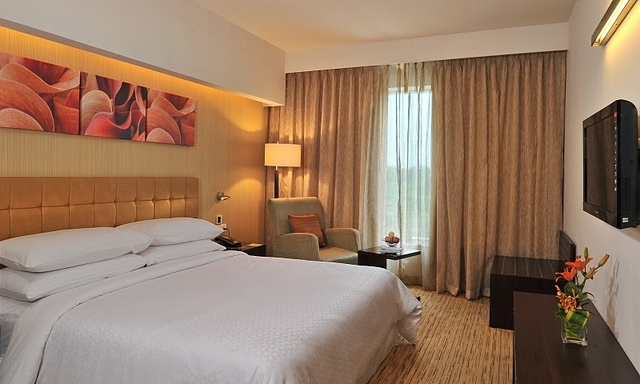 It ensures easy access to corporations, schools, shopping, entertainment and local attractions. 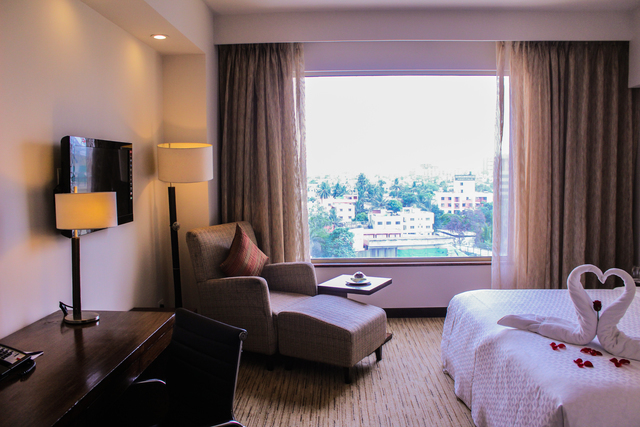 For a genuine view of the city, guest can visit Parvati Hill which is one of Pune's top scenic sites and its highest point, the hill is also home to some of its oldest structures. 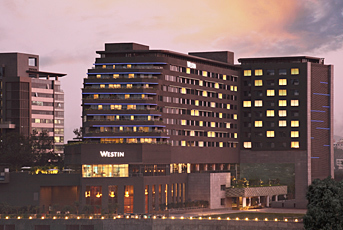 In addition to monuments, Pune is known for its jovial nightlife. 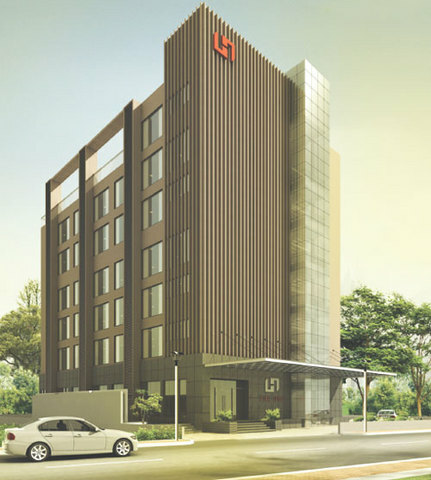 Some of the nearby popular areas and sightseeing attractions are; Koregaon Park (5 Kms), Magarpatta (6 kms), Kalyani Nagar (3 kms), Tribal Museum (5 kms), Raja Dinkar Kelkar Museum (8 kms) etc while the nearby corporate includes; Giga Space (300 metres), Gold Adlabs (3 kms), IBM (4 kms), Eon Cyber City (4.5 kms) and many more. 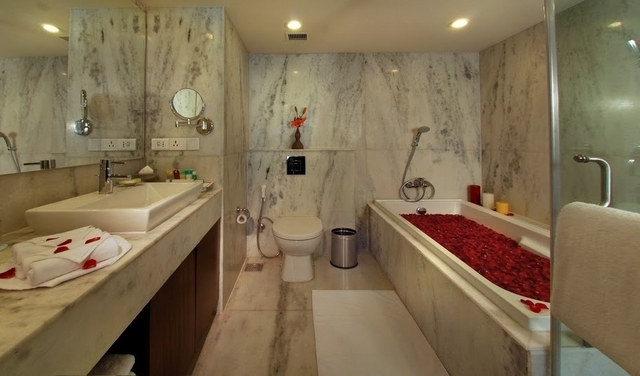 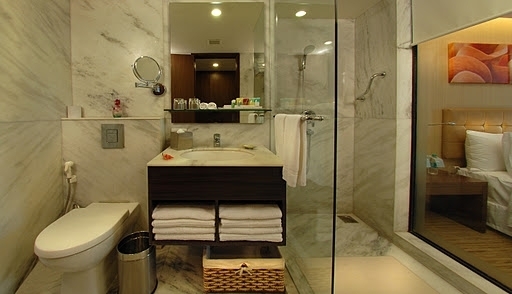 It offers an array of amenities designed to make the guests feel at home. 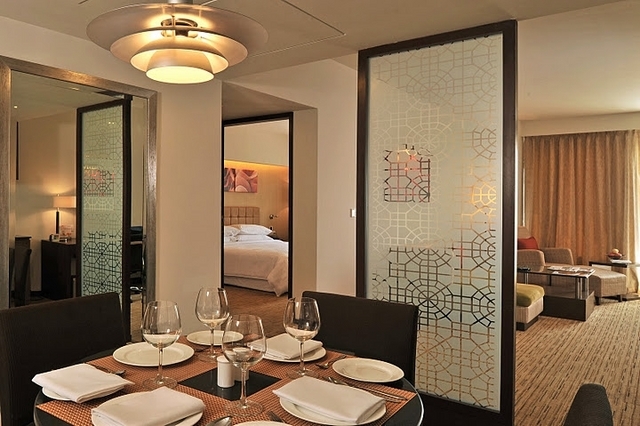 Guest can have a frosty pint at The Best Brew, sample Pan Asian fare at Panash or can enjoy a wide selection of international and local favourites at the all day dining option The Eatery. 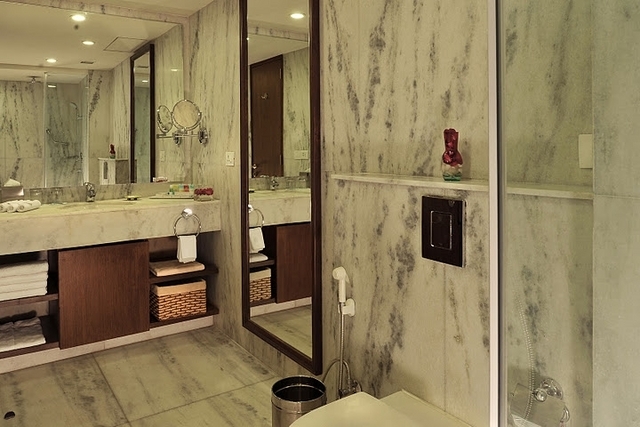 Other conveniences include wireless High Speed Internet Access, a spa, gym, and swimming pool. 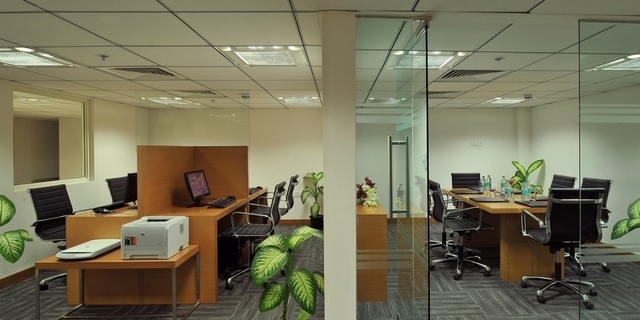 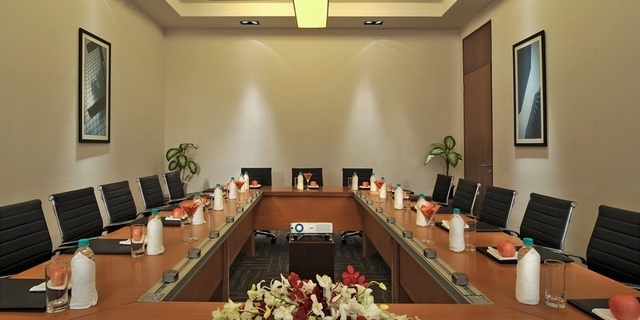 The hotel also offers a business centre for the corporate guests along with services like Audio Visual Equipment and Technicians, Conference Facilities, Catering Staff, Pre-Function Space, Meeting and Event Facilities, High Speed Internet Access on charge, Wedding Coordinator and many more. 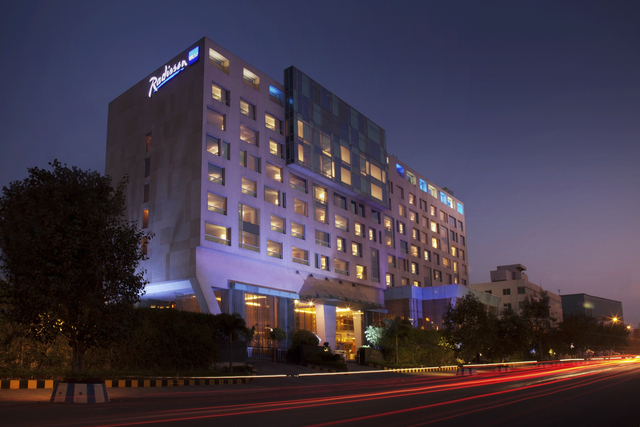 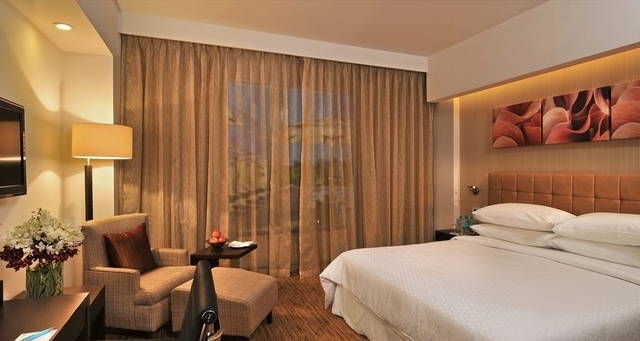 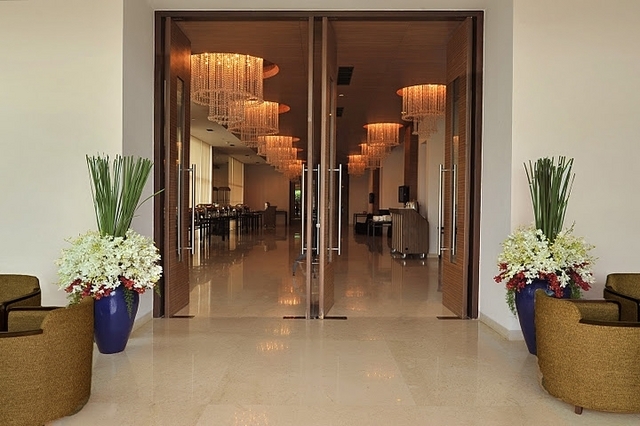 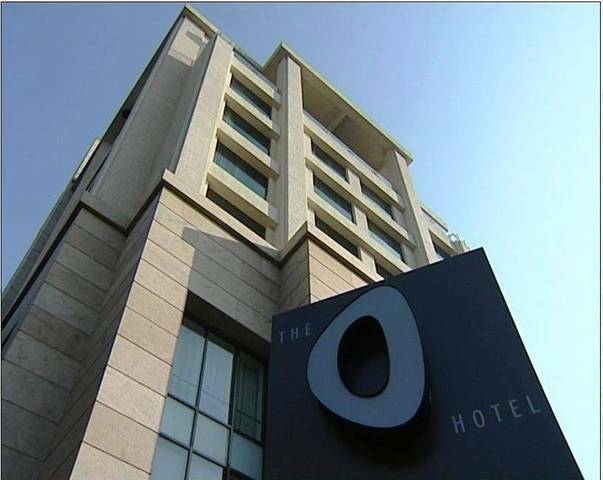 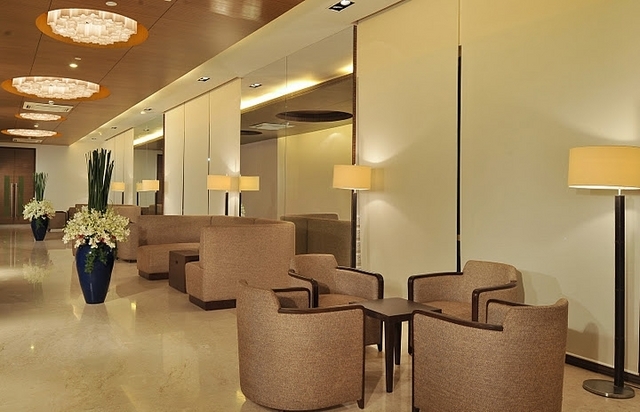 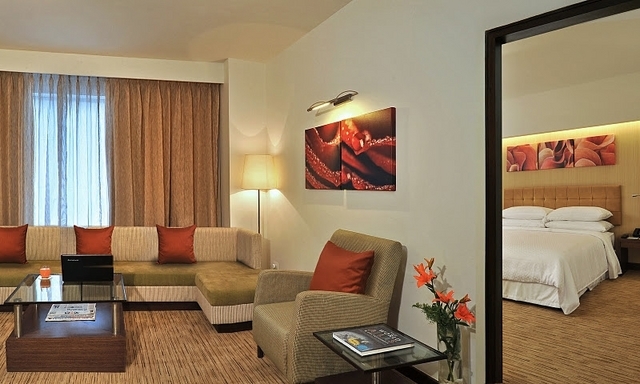 The Four Point by Sheraton Pune offers 217 well furnished guest room and suites. 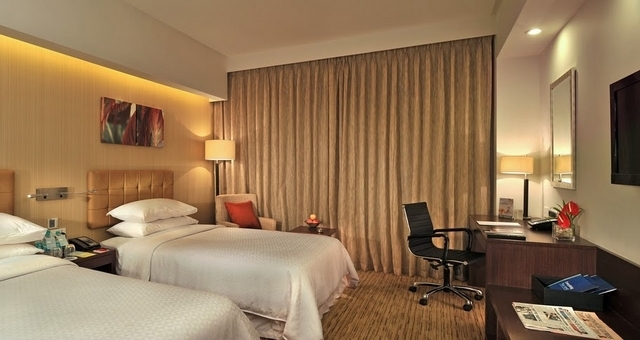 Each of the guest rooms and suites offer High Speed Internet Access. 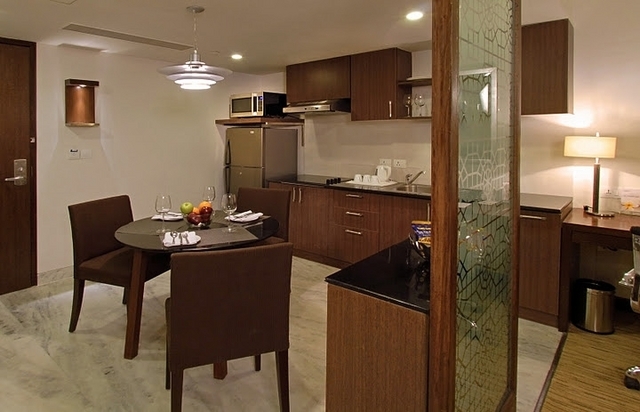 And for longer stays or larger parties, there are self-contained studios and 1 bedroom residences which are perfect solution. 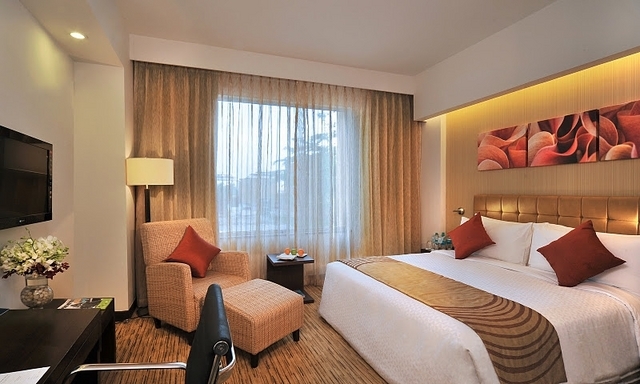 All the rooms have refrigerator, mini bar, telephone with direct dial, work station etc.